There is no better time to refinance than right now. Mortgage interest rates are back below 4%. Declining rates have increased home affordability by roughly ten percent compared to the start of 2014. Everyone can now afford to purchase more home. In other words, the home you were looking at last year to purchase has become less costly to finance. With this week’s new rate, refinancing is also looking more affordable and an appropriate approach for current homeowners. Not only is it easier to qualify for refinancing this year, savings homeowners are claiming are often hundred of dollars per month. A mortgage refinance is the process of replacing your current mortgage with a new one. Any licensed banker or broker can help you through the steps of this process. There are three different types of refinance loans we will discuss below. The first type of refinancing we will discuss is rate-and-term loans. In a rate-and-term process, the homeowner will lowers its interest rate, shorten its loan term, or sometimes do both. The second most common type of refinancing is cash-out. With a cash-out process, the homeowner can convert its home equity into cash. The cash of a cash-out is handed to the homeowner at closing, and can be used for savings, debt payment, home improvement, or anything else they wish. The last type of refinancing we will discuss is the cash-in process. 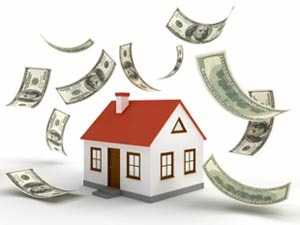 In the cash-in transaction, the homeowner brings cash to the closing in order to reduce the total amount owed. A cash-in refinancing is usually used to lower the monthly mortgage interest rate for the homeowner. A cash-in refinance can also be used to remove private mortgage insurance from a loan. A refinance is a new mortgage replacing your old mortgage, so in most cases, banks use the same verifications they used at the time of purchase. There are a few notable exceptions to this rule. The FHA Streamline Refinance and the VA Streamline Refinance, which we have discussed in other articles, requires neither verification of employment or of income. For most new loans, an update to your verification is required. Most mortgage refinance approvals are based upon three basic things. They have come to be known as the 3 C’s of underwriting. They are Capacity, Credit, and Collateral. Capacity consists of the borrower have the means and resources to pay off their debts, especially the new mortgage debt. The next is credit, which usually is asking if the borrower has a good re-payment and credit history. The last of the 3 C’s is collateral. Collateral is the value and type of the property being financed. The good news is that the documentation for a refinance loan is typically less as compared to a comparable purchase loan. Borrowers should expect to provide proof of income, documentation of assets, evidence of citizenship or residency status. Overall, though, total paperwork required is less. As part of the mortgage refinance, your new lender will request a mortgage payoff from your existing one. Your payoff is the amount required to pay your loan in full, and to satisfy the terms of your current mortgage loan. Whether you are working with a new lender or your current one, the payoff will still be required. It is common that a borrower may confuse their current mortgage balance as shown on a recent statement with their mortgage loan payoff. These are two different figures. The mortgage payoff amount will almost always be higher amount than the balance listed on a monthly statement. This is because the statement shows your balance from some point in time, and the payoff reflects that amount known plus interest. Remember that every day you borrow money from a bank, you incur charges for interest. If today were the 15th of the month, then, your mortgage payoff would include 15 days of mortgage interest, which have accrued since your statement was last published. In addition, your mortgage payoff amount may include other fees incurred but not yet paid such as escrow account deficiencies and processing costs charged by your lender. The responsibility of requesting a mortgage payoff falls to your soon-to-be mortgage lender. You may request a copy of the payoff letter in order to review it for errors; or, to be better prepared for your closing.